Oohhhhh. 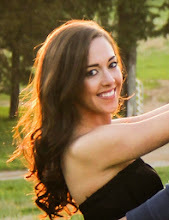 I love the recipe I'm sharing with you today. These super spicy and crispy chicken tenders dipped in "ranch" totally make you feel like you're splurging. As I already told you when I made my almond-crusted chicken tenders with honey mustard, I have a true affinity for junky food. That's why, although I make an effort to "eat clean" most of the time, you don't find a ton of recipes here for salads and grilled fish and steamed veggies. Well, for one thing, you don't really need a recipe for those, but also... I can't eat that stuff consistently! Props to you if you can, but I love too many different foods to bore my palate with plain chicken and greens all the time. So here you find chicken-bacon-ranch quesadillas and pasta with cream sauce and filet mignon and roasted potatoes with garlic dip and creamy shrimp salad and cheesy orrechiette bakes -- all made healthy! These crispy baked sriracha chicken tenders are a great addition to our list of "meals that your mouth won't even recognize as healthy." Serve these with the "ranch" dipping sauce I shared with the chicken, bacon, ranch quesadillas to cool off your mouth. They are pretty spicy! But if you love sriracha like I do, you'll LOVE these. They're drenched in a sriracha marinade, coated in panko, and baked/broiled until crisp. They are SUPER easy. Another great idea to make these even healthier would be to reduce the amount of panko and substitute it with crushed almonds, just like I do with my almond-crusted chicken tenders. Either way = delicious! Cut 2 or 3 chicken breasts into 2-3 strips each. 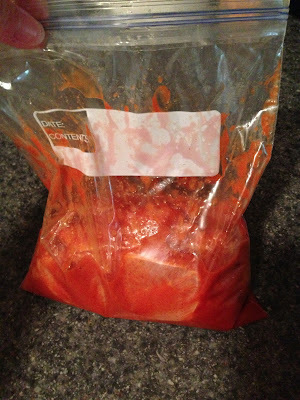 In a ziploc bag, combine 1/3 cup sriracha, 1 tbsp rice wine vinegar, 1 tbsp olive oil, a clove of minced garlic, and ginger (either 1/2 tsp grated fresh, or 1/8 tsp ground). Place the chicken in the bag and marinate for 30-60 minutes (or longer). 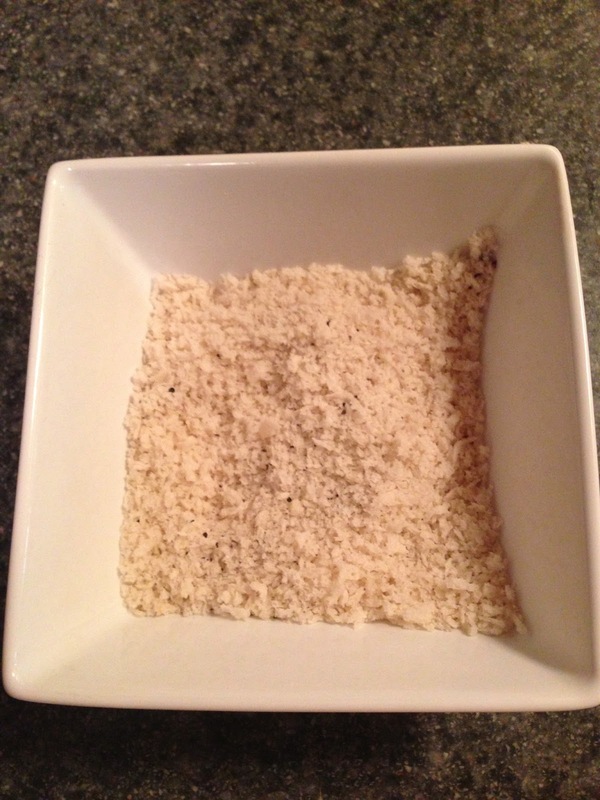 In a bowl, combine a cup of panko bread crumbs (or substitute half with ground almonds) with sea salt and course ground black pepper to taste. Be sure to taste as you season and use enough salt and pepper to make the coating flavorful. After 30-60 minutes of marinating, take each chicken strip directly out of the bag and place in the panko bowl. Coat both sides well, using your fingers to cover all surfaces with breadcrumbs. Place each chicken strip on a wire rack on top of a foil-lined baking sheet. Refrigerate for 30-60 minutes if possible. Bake at 400 degrees for 20 minutes. Then, turn the broiler to high and broil each side of the chicken tenders for about 3 minutes, or until slightly browned and crispy. Yum! Don't forget to whip up some of that "ranch" greek yogurt dip. -In a ziploc baggie, combine sriracha, vinegar, olive oil, ginger, and garlic. Place chicken breast strips in the bag and coat well. Refrigerate for 30-60 minutes, or longer if desired. -In a bowl, combine panko with sea salt and course ground black pepper to taste -- be sure to season enough for the coating to have flavor. 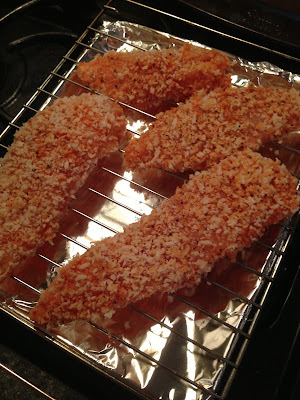 -Remove each chicken strip directly out of the bag (not shaking any of the marinade off) and place in the panko bowl. Coat both sides well, using your fingers to cover all surfaces with breadcrumbs. Place each chicken strip on a wire rack on top of a foil-lined baking sheet. Refrigerate for 30-60 minutes prior to cooking if possible. -Bake chicken for 20 minutes. Then, turn broiler to high and broil for about 3 minutes. Flip tenders and broil on the other side for about 3 minutes. I don't eat chicken... but I'm thinking that breading would be AMAZING on zucchini chips. I live sriracha! heck yes, spicy zucchini chips... that would be delicious!